Raphael Araujo had a game for the ages and the New Jersey Copa FC captain’s fireworks may be enough to rocket his New Jersey Copa FC side into the National Premier Soccer League postseason. Araujo achieved a six-goal barrage, including four in the second half as NJCFC fended off the third-place Buxmont Torch, 7-3, July 1 at Saint John Vianney High School. Araujo scored twice in the first half to give NJCFC (6-1-2, 20 points) a 2-0 lead at halftime, completed his first hat trick in the 59th minute for a 4-1 advantage, and when third-place Buxmont (4-3-2, 14 points) closed the deficit to 4-3 with 21 minutes to play, Araujo ignited again, unleashing his second hat trick of the night with tallies in the 73rd, 88th and 90th minutes. The six individual goals and seven team goals are both single-game NJCFC records. 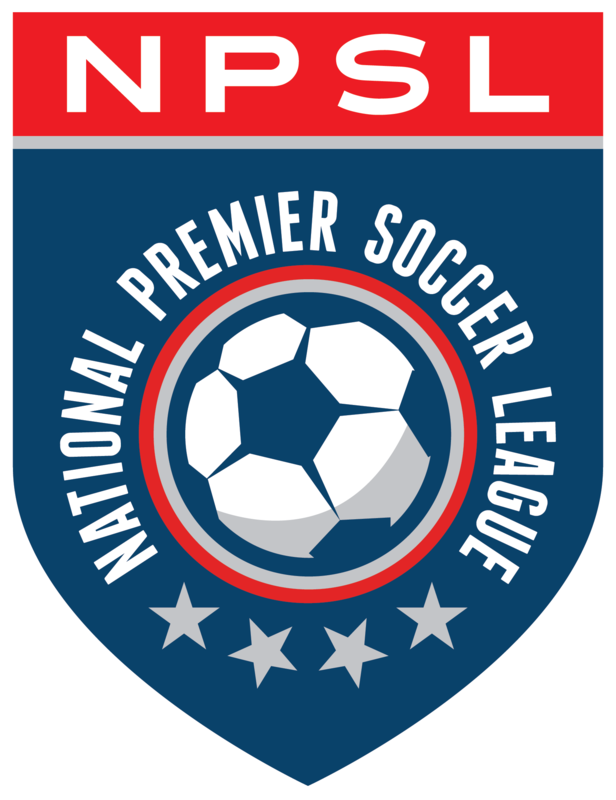 Behind Araujo, who came into the day with three goals on the season before tripling that output, NJCFC maintained at least a tie atop the NPSL Northeast Conference Keystone Division with West Chester United Soccer Club (5-1-2, 17 points) which plays on Sunday. NJCFC won its third in a row and fifth in six outings. Ohio State’s Mike Prosuk also scored in the 47th minute to make it a 3-0 lead. NJCFC was playing without leading scorer Ryan Campbell (six goals in seven games). Gerald Cubero contributed a pair of assists on Araujo’s third and fifth tallies. Modou Sowe, Kevin Veliz, Travis Ward and Eugene Heerschap all collected single assists. Araujo, a former Rutgers-Newark All-American and NJCU player, was the indisputable selection for Jersey Mike’s Subs New Jersey Copa FC Man of the Match accolades. The start of the game was delayed more than an hour by thunderstorms before a brilliant double rainbow appeared over the complex in a sign of what was to come. NJCFC outshot Buxmont in the first half, 13-1, before the Torch put up 11 shots in the second half. Matt Perrella made four saves in the win for New Jersey. In the sixth minute, Cubero nearly put NJCFC in front when he received a cross from the left wing and unloaded on a shot from 20 yards, forcing Buxmont keeper Matt Palmer to make a brilliant one-handed save to the far post to deflect it away. But 30 seconds later Sowe gained possession, dribbled down the sideline to the six and delivered a pass across the box to Araujo from 13 yards out, over the keeper’s fingertips for a 1-0 lead. Early in the 15th minute, Veliz volleyed a pass onto the right wing, Araujo ran past the left back and unloaded a shot into the near left side for his second mark. Araujo had eight shots in the game and seven were on goal. The only one that wasn’t came in the 23rd minute and was his hardest strike of the game, catching a defender in the middle of the box. That blocked shot was the only difference between a first half hat trick for the NJCFC striker. In the 40th minute, Palmer made a save on an Araujo shot and right back Andrew Santos blasted the rebound off the near left post. Prosuk got in the goal column late in the 47th minute. Ward’s pass on the ground led Prosuk into the box where he dribbled before depositing a shot into the bottom left corner past the outstretched keeper. Perella kept Buxmont off the board for more than 50 minutes and made a fine save when he laid out and tipped a blast from Pedro Sousa wide of the far post. But the Torch got a break in the 52nd minute. Cody Boerema had a hand in two goals for Buxmont and his ball played across the box deflected off the defense for an own goal. Araujo pushed the lead to 4-1 in the 59th minute, completing his first hat trick of the night. Cubero’s evasive dribble to the right endline set up Araujo in front for the one-timer finish. The Torch made a game of it midway through the second half. Khalil Karl scored on a free kick early in the 66th minute—a beautiful ball beyond the defensive wall and into the lower right side. Buxmont made it a one-goal game in the 70th minute when Boerema scored on a give-and-go from Sousa. That’s when Araujo began working on his second hat trick. In the 73rd minute, Buxmont made an errant pass from the left defensive third, right to the NJCFC captain, who took a quick dribble and fired a shot from distance off the hands of the diving Torch keeper for a 5-3 cushion. Two goals in two minutes put an exclamation mark on Araujo’s historic effort. In the 88th minute, NJCFC won the ball on the right sideline, playing the ball to Cubero who slipped a pass up the middle. That sent Araujo in on a breakaway finished inside the far left post. Prior to stoppage time, Heerschap made a long run down the right wing and played a ball across the box for another Araujo one-timer and a 7-3 advantage to cap the evening.